The practice of Prithvi mudra is useful to increase earth element and decrease the fire element within the body. It will also increases the strength and endurance of your body. If you are a Kapha deficient person, this mudra is highly beneficial for your overall health. 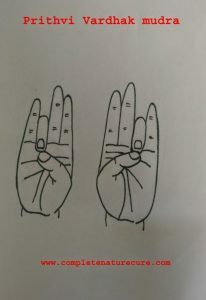 This mudra is very much useful to gain weight and strengthen the body. 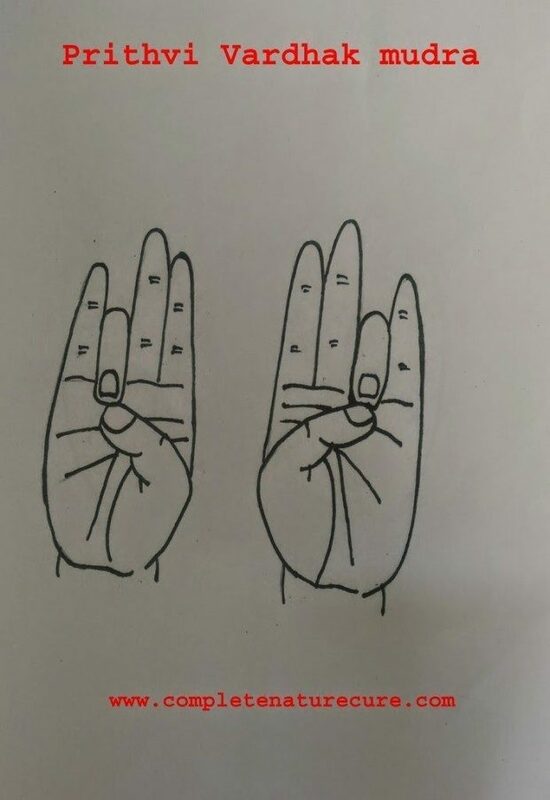 It is very easy to do, just joining the tips of ring finger with the tip of thumb finger and applying gentle pressure is enough to form Prithvi mudra. You may practice Prithvi mudra while traveling, watching T.V, anywhere and anytime. Thirty to forty-five minutes of regular practice is enough to get good results. You can do it anytime or in any place but the morning hour or when you are in meditation is the best choice to get the best results. To get the outcome at a quick pace, please practice it regularly. Keeping a healthy diet plan is also beneficial. The practice of this mudra has no major side effects. But the people who are obsessed and have asthma will face some problems. It is better that overweight people avoid the practice of it. If you are a Kapha dosha person, then do it in moderation only.